We recently renewed our annual Texas State Parks pass and spent the afternoon enjoying our local park with our little Landri. 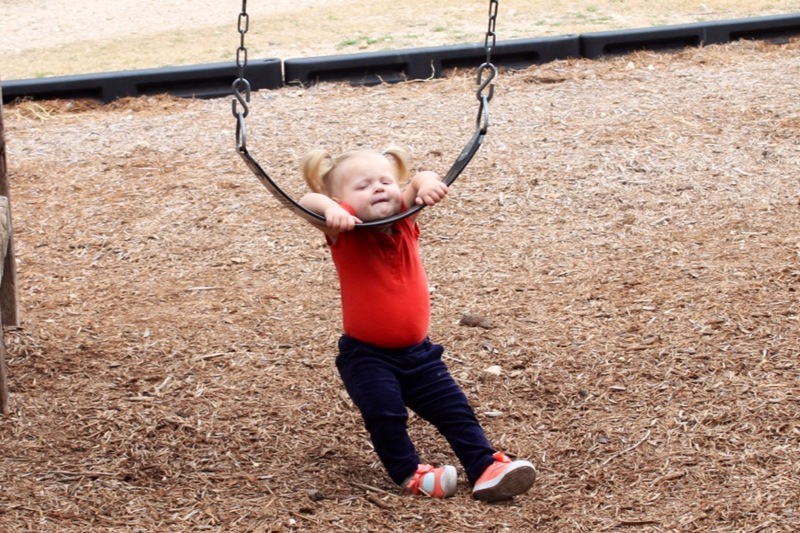 Of course, you may remember the last swing incident we had there when Daddy let the swing smack her in the head (see pic below on left)… well, we of course had another swing incident – and yes, the same swing, too! This time, he let her sort of hang herself! Scary!!! It was way worse in person – her little legs swinging around, trying to regain her footing! 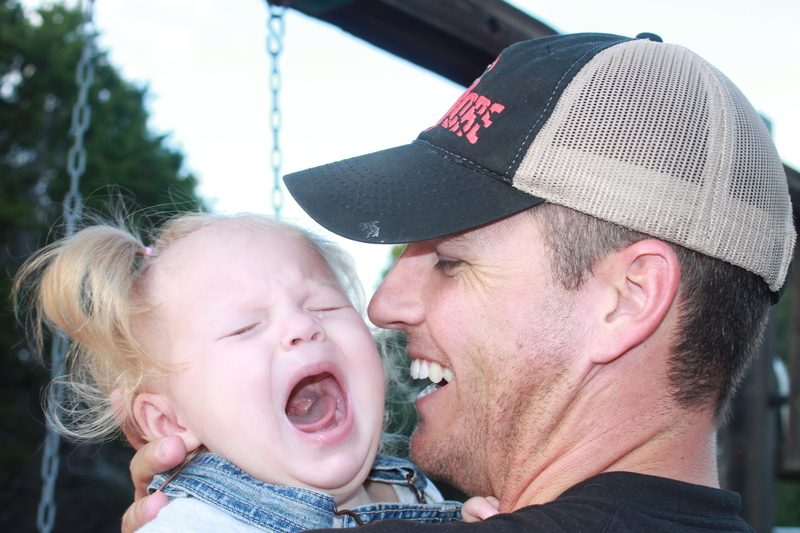 Daddy let the swing smack me in the face!!! This time Daddy let me almost hang myself!! !